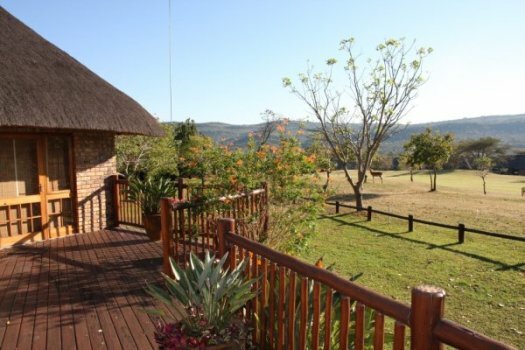 The wooden-decked entertainment area outside is the perfect spot to spend an afternoon napping or an evening braaing whilst recounting your adventures of the day. 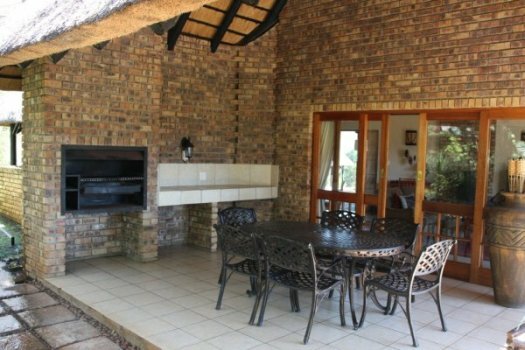 Like most South African lodges, Amilalu is equipped with a large built-in braai (barbeque) with storage and work surfaces. 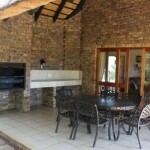 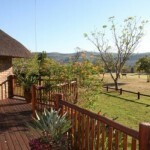 The patio overlooks the 8th fairway and a separate open garden and has views over the Sabie valley and countryside. 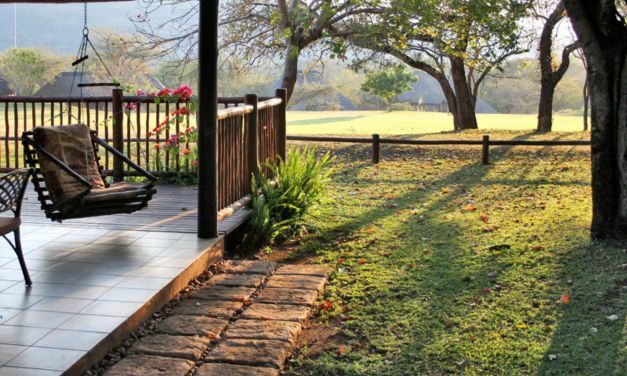 Relax in one of our swing chairs or loungers, sipping on a glass of wine whilst watching the sunset over the scenic Sabie valley beyond. 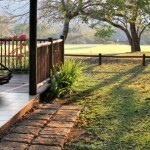 Impala and geese are also regular visitors to our lawn.